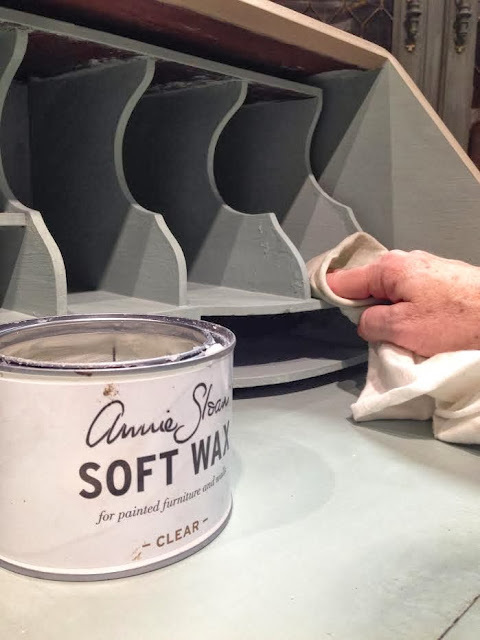 Update your traditional furniture with Chalk Paint and a few tips. a drop front desk that we would paint to go with her decor. but as soon as you want to buy it becomes very scarce! at one auction. 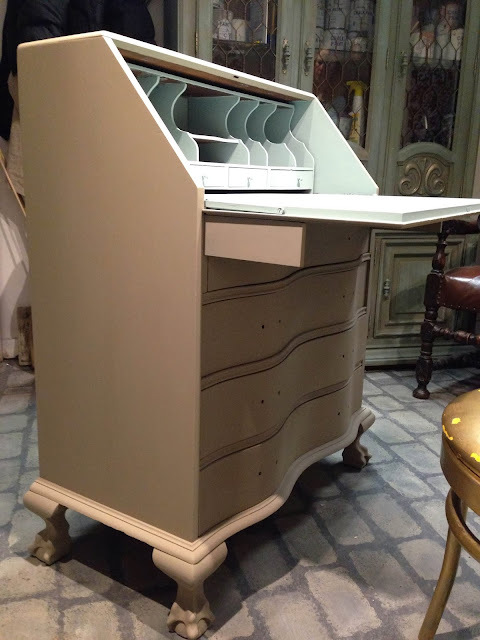 A very french style drop front desk up on legs. 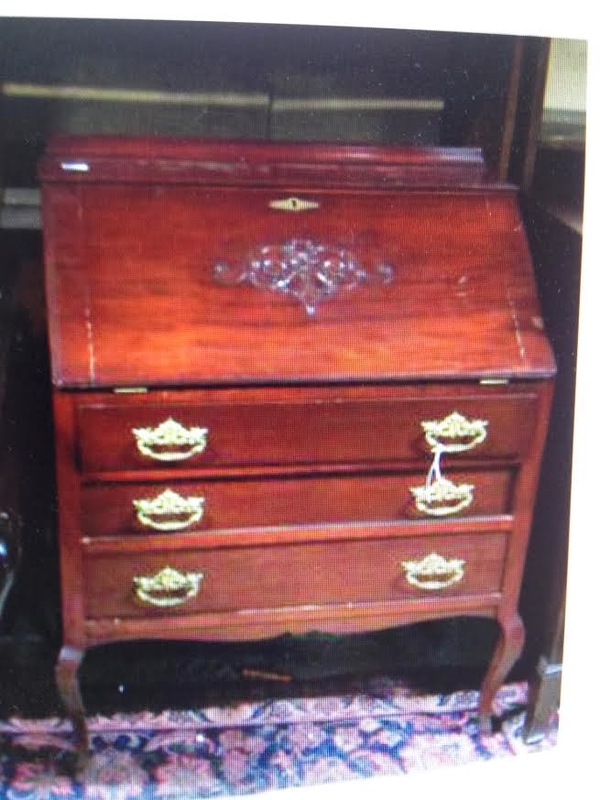 we call a Governor Winthrop desk. We purchased both at auction and Ana chose the Governor Winthrop. 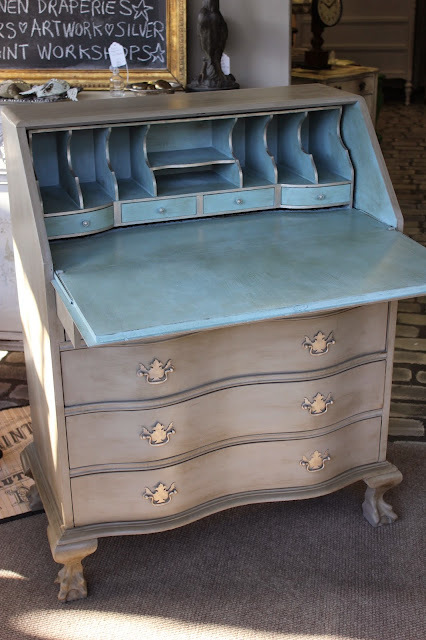 We still have the french desk, and I will be painting that soon for the shop. 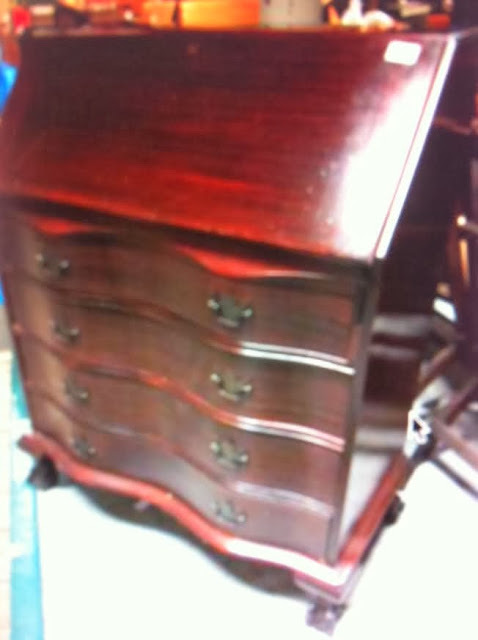 This grainy auction pic above shows the mahogany desk with ball and claw feet. 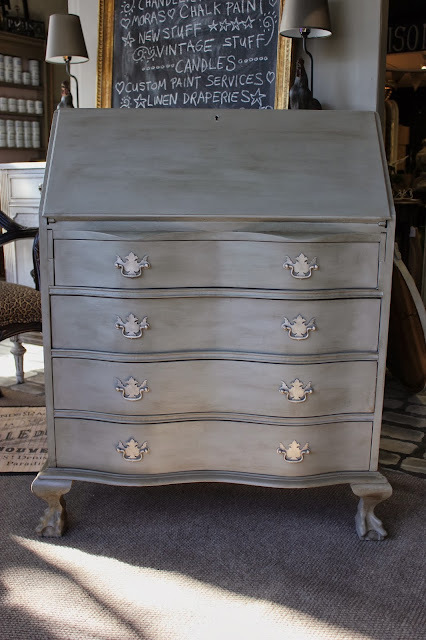 Coco Chalk Paint by Annie Sloan on the exterior. but was being painted and gilded per Ana's custom order. This is our trick for painting hardware if we have to remove it. the cardboard and it will stay still while you paint and wax it. No dirty fingers! And no lost hardware, it all stays nice and neat until its ready to be reattached. wax to protect and seal it. 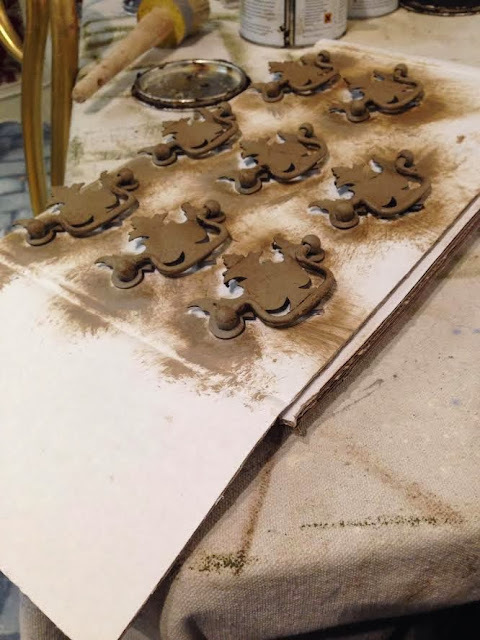 After this step it would be gilded for the finishing touch. The interior of the desk has a little surprise! It is finished with a contrast color, Duck Egg! 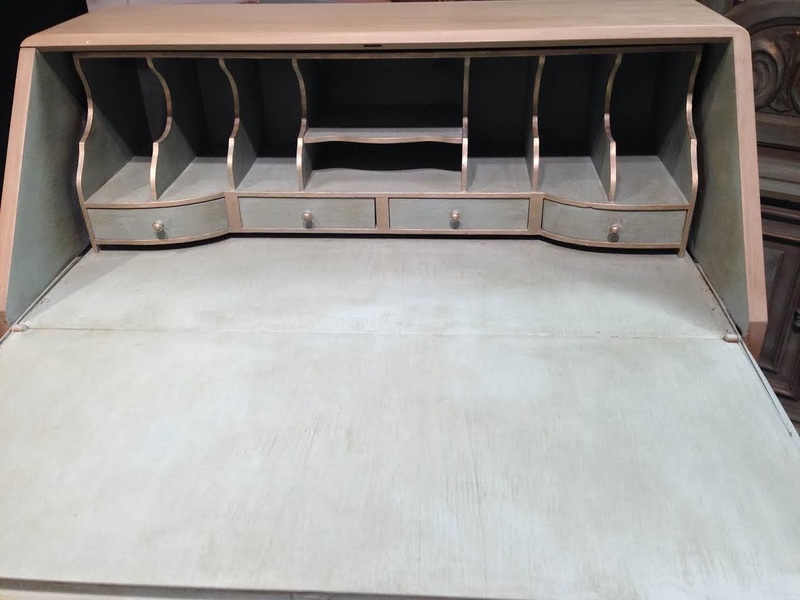 A pale green-blue color that is the number one selling color in our shop. 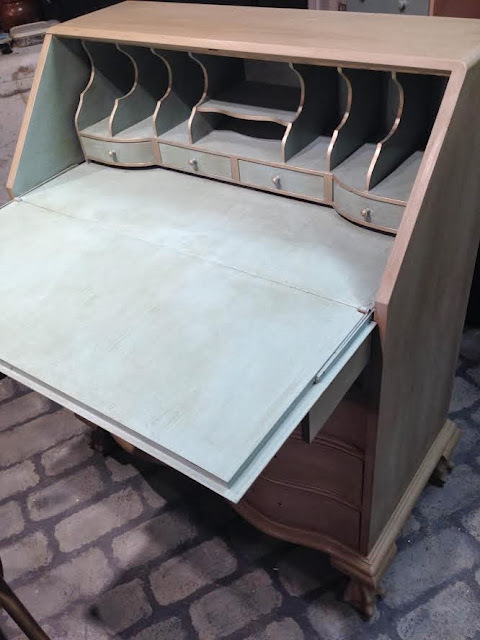 The desk above is shown before wax was applied. that is done only after clear wax is applied. Do it in sections and then wipe off the excess wax with a soft clean rag. use it for the clear wax, and apply the dark wax with a rag. 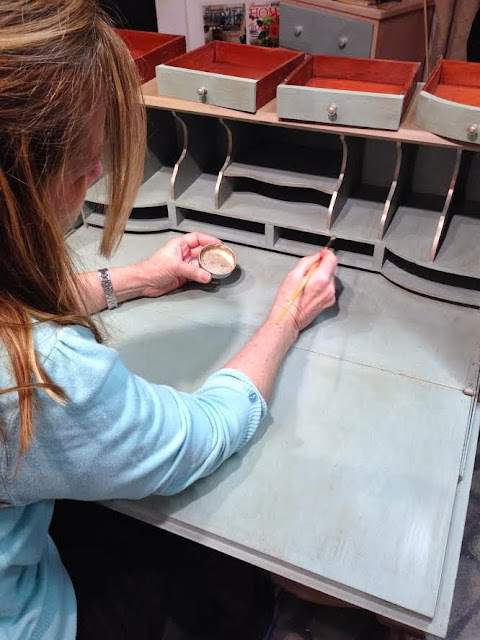 make sure clear waxing stays clear on your next piece. Look for all of our wax brushes in our online store as well if you are interested. Many ask how do we paint and wax the cubbies? with a rag using dark wax, rubbing it all into the painted wood. into the recessed area where fingers could not fit. 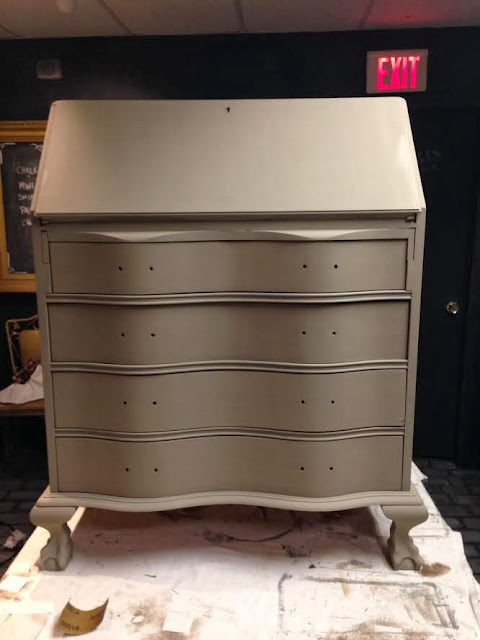 our Gilder brush to highlight the outside edges of the cubbies. 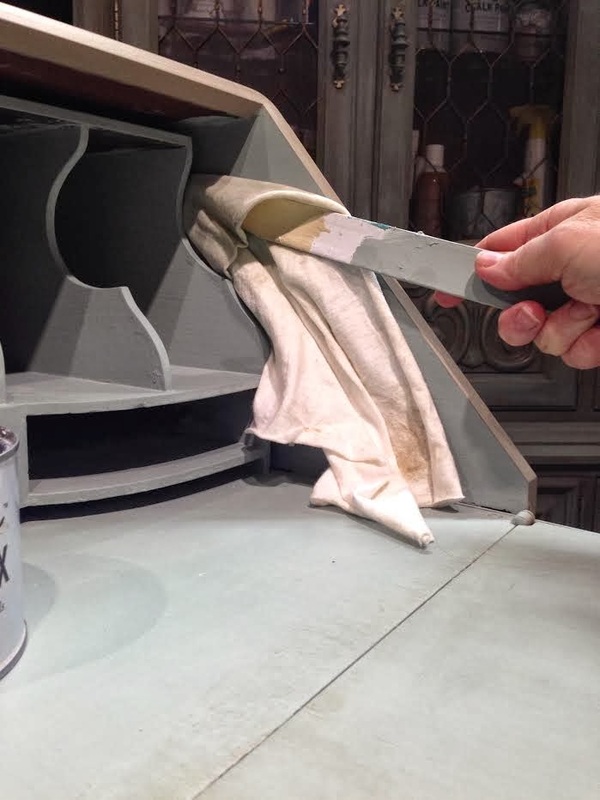 our number one selling color of gilding paste. Makes for a pretty interior, doesn't it? Interior is all finished and it looks amazing! elegant presentation when the drop front is opened. 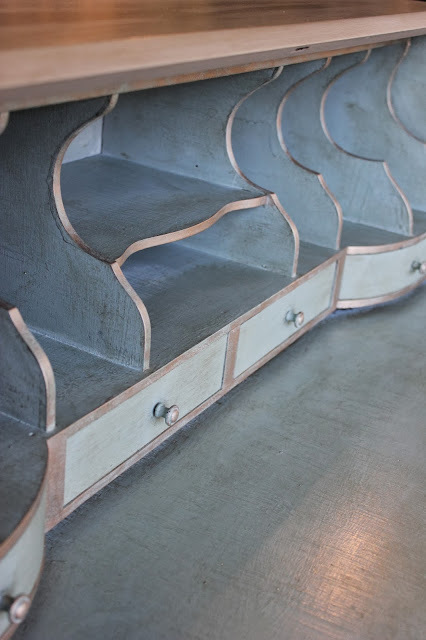 and dark wax with gilded cubbies. Now all that is left is to add the hardware back on! It is also gilded for a bit of understated bling. 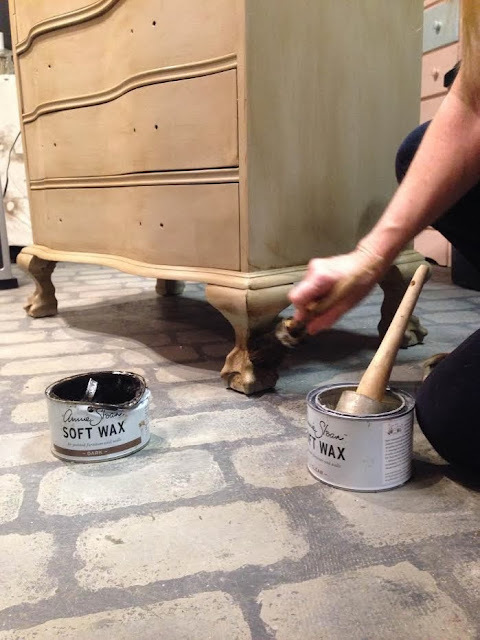 Update your older furniture~its simply amazing! For Gilders Paste, Chalk Paint and Brushes shop here.